UNIST links up with Thermo Fisher Scientific to promote scientific research excellence. UNIST and Thermo Fisher Scientific Inc., the world’s No. 1 maker of scientific instruments, has announced a scientific collaboration to support researchers to enable researchers to accelerate scientific exploration. 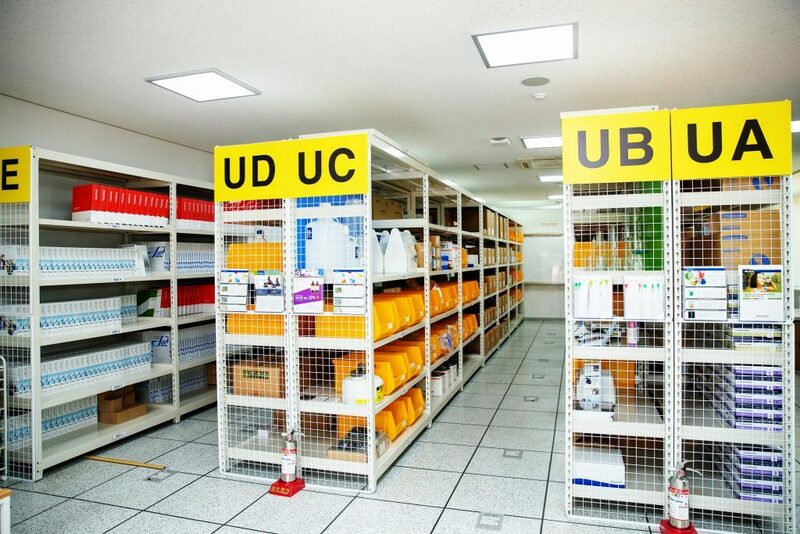 On May 11, UNIST held an opening ceremony to celebrate the completion of the UNIST Central Distribution Center (UCDC), located in machine shop building at UNIST. UNIST will benefit from having a dedicated space for buying and supplying reagents and laboratory consumables to deliver high quality research. The interior design of the UNIST Central Distribution Center. In general, all research equipment and consumables must be purchased and stored separately by each lab. As a result, there is massive amounts of excess or obsolete inventory sitting unused in each laboratory over time. With the official launch of UCDC, it is now possible for researchers to efficiently purchase as many items as needed in a timely manner. Besides, the center also utilizes the standardized purchasing procedure, resource usage can be also monitored, controlled, and reported, providing transparency for both the provider and consumer of the utilized service and save costs and time, at the same time. Purchasing laboratory consumables will becomes also simpler with one-click ordering. The advent of one-click ordering enables researchers to place their orders via UCDC homepage and have it delivered to their labs. Using the integrated management system, researchers can also track their shipments and may soon be able to make purchases on their smartphones. 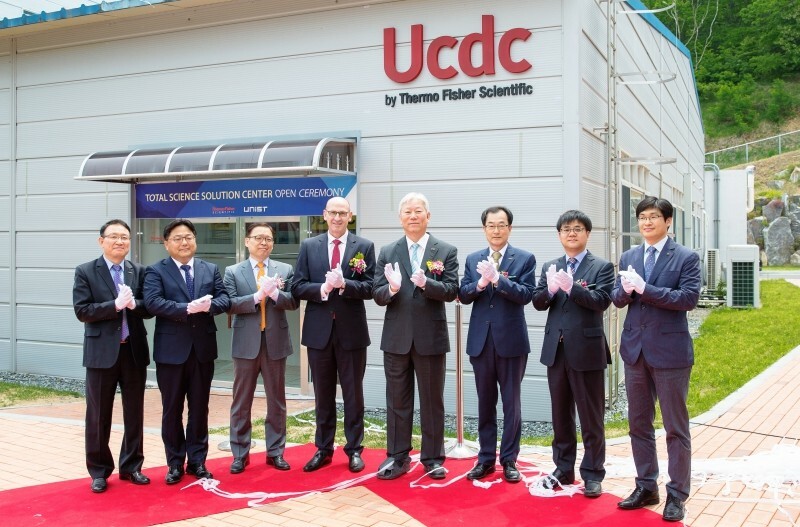 President Mooyoung Jung (center) of UNIST and President Tony Acciarito of Thermo Fisher Scientific are examining the product-purchasing process at UCDC. Representatives from Thermo Fisher Scientific will be available on campus to answer questions or help with any problems researchers may have when placing an order. 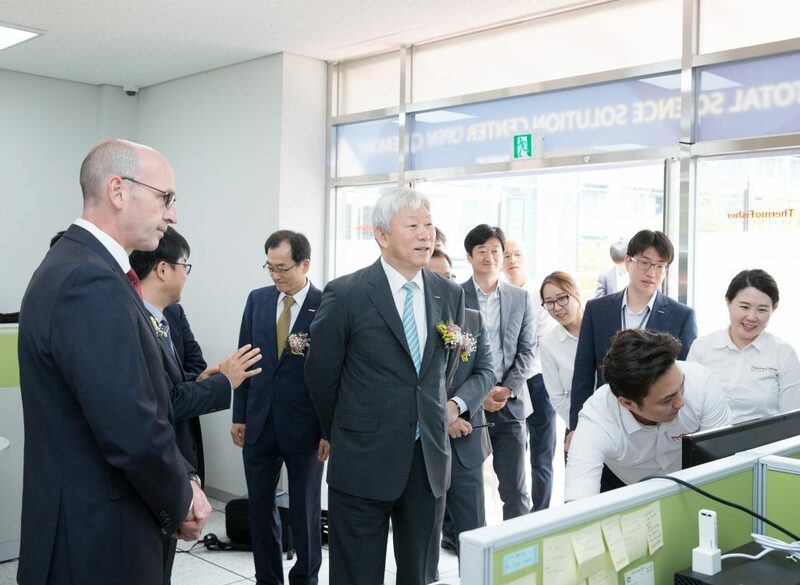 The center will be operated and managed by Thermo Fisher Scientific Korea, a Korean branch of Thermo Fisher Scientific through an open bidding process. Thermo Fisher Scientific Inc. is the world leader in serving science, with revenues of $18 billion and more than 55,000 employees globally.